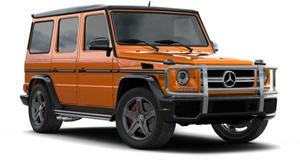 We’ve long known the Mercedes-Benz G-Class is unlike most other SUVs on the market for all the right reasons. Not only is it luxurious but it can also go just about anywhere. Literally. The German automaker has just released this video showing its all-new G-Class traversing the 331 feet tall Punta Negra dam in the Argentinian Andes. According to Wikipedia, the Punta Negra dam is a concrete-face rock-fill dam that runs 2,300 feet across the San Juan River in San Juan, Argentina. Its purpose is to provide water for irrigation and the generation of hydroelectric power. It supports an 83,000 hp power station and the whole project took 10 years to complete start to finish. 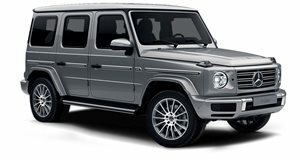 So why is Mercedes having the G-Class perform this stunt? To celebrate the SUV’s 40th birthday. "Over 40 years the G-Class has been continuously developed further, while retaining its character and unmistakable key attributes. Its DNA is stronger than trends, defying both the passage of time and even gravity. We have dramatically demonstrated this with the drive, where the G-Class moves along a dam wall above the abyss,” says Dr. Gunnar Güthenke, Head of the Off Road Product Group at Mercedes-Benz. It’s all part of the "Stronger than Gravity” campaign Mercedes has initiated specifically to impress the world as it shows off the off-roader’s capabilities in extreme situations and environments. Try doing something like this in a crossover. Hint: it won’t end well. But Mercedes was so confident nothing would go wrong it made sure to film the stunt, hence the included video. What else does the automaker have planned to celebrate four decades of the G-Class? On March 8, it plans to release some behind the scenes footage of this specific stunt, but we also suspect other off-road adventures have already been filmed and will be released throughout the year.